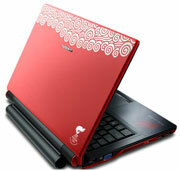 Lenovo has began auctioning off their Olympic Laptops, aka the “Cloud of Promise”. These are limited edition laptops, signed by Gail Emms (Olympic Gold Medalist), with the proceeds going to the “Lenovo Hope Fund of Triangle Community Foundation” which supports “the creation and growth of new businesses in distressed communities around the world, as well as innovative nonprofit organizations that serve these communities“. The starting bid is $1000 USD. There will be more auctions throughout the year, including in other parts of the world. This initial auction might be only for residents of the UK (and possibly the US).